A 100% Sauvignon Blanc! ‘It was the first time we ever dared to do it,’ said Denis Dubourdieu. Elegant if reticent nose of lemon jelly, melon and saffron. Extremely rich and concentrated on the palate with a viscous mouthfeel and pure, fresh citrus and sweet spice flavours. Three barriques only were made, with roughly 204g/l residual sugar and 9g/l total acidity. Excellent and racy but lacks the weight provided by Semillon. It is impossible to choose between the two Doisys this year, so the only option is to have them both. Doisy Daëne provides deep, rich intensity, notes of marmalade, honey and orange peel with, most importantly, just enough freshening acidity to cleanse the palate and provide wonderful lift on an intense and invigorating finish. 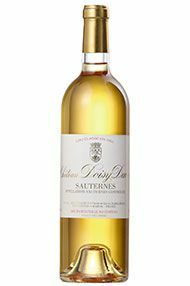 Nothing better than a fresh glass of Sauternes!! Every time I have one I just think “why do I not have this more often!!”. 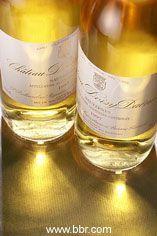 Following from great 2001-2005-2009-2010 the 2011 is yet again a very strong Sauternes vintage and Doisy Daene is one of the best when it comes to the combination of both elegance and freshness. Although sweet it is one of these wines that drinks effortlessly. Lovely perfumed sweet nose, pineapples and peach. A touch sweeter than usual for this wine but extremely well balanced and lovely fresh elegant long finish. Tasting En Primeur Barsac is always hugely enjoyable, and in 2014 none more so than Ch. Doisy-Daëne. The nose shows complex, rich yellow stone fruits with a faint but exciting touch of pineapple - pointing to many levels of complexity as this matures. On the palate there is tremendous density of flavour, focus too, with the acidity absolutely spot on. This acidity is well framed in soft, creamy oak which perfectly matches the weight of the fruit. The finish is expansive, with a spicy whip of white pepper and yet more pure fruit. There was much more depth and concentration on the nose of this wine, than any of the other five major Sauternes and Barsac we tried at a famous Negociant in Bordeaux. Serious and concentrated on the palate too, some exotic notes of preserved pineapple, mouth-filling fruit, balanced by mouth-watering acidity. 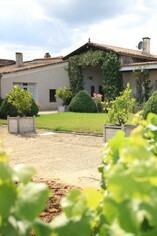 Very Barsac in its elegance and very enjoyable and complete as a wine. There is lovely weight on the palate here, with a nice fruit profile and satisfying richness. A fairly persistent finish follows, which is rich, soft and quite elegant. When the original Doisy estate was split up in the 19th century, it was bought by an English gentleman who attached his name to this estate. Today it is owned and run by Pierre and Denis Dubourdieu, who have done more to improve the quality of white Bordeaux than anyone else. 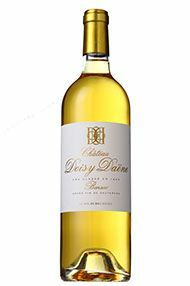 Famous for its finesse and poise, these elements have been enhanced by a wonderful richness in Doisy-Dane's 2001. 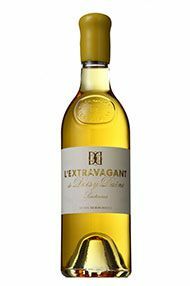 A delightful pure floral aromatic nose is followed by a crisp, balanced palate with fine citrus fruit and hints of crystallised pineapple. Very good indeed. Drink 2006-2015	Limited to one case per cdustomer. The wines of Ch. Doisy-Daëne are marked by their finesse and richness. 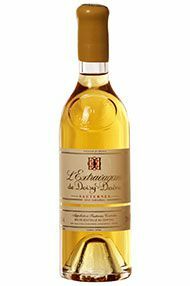 The nose has an attractive bouquet of tropical fruit, primarily pineapple and there is a fresh, honeyed finish.